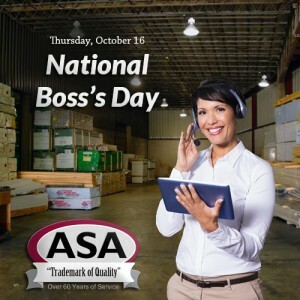 Happy National Boss’s Day from Everyone at ASA! Make sure you thank your boss today for everything they do in honor of National Boss’s Day! You don’t have to be upper management to upgrade to your dream kitchen. ASA has plenty of budget-friendly options that are sure to wow your family and friends.